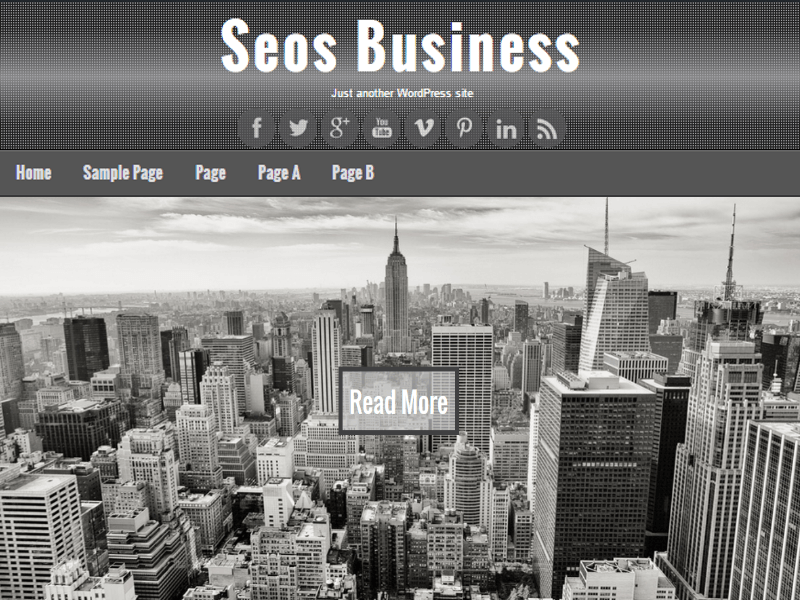 Seos Business is the 2015 theme, dark multi-purpose theme with a responsive 2 column layout. Seos Business is 100% responsive built with HTML5 & CSS3, it’s SEO friendly. The theme is tested for speed there are no mistakes in the HTML code. We designed it using a mobile-first approach, meaning your content takes center-stage, regardless of whether your visitors arrive by smartphone, tablet, laptop, or desktop computer. Customizer: background color, header color, nav color, hover color, header image, background image, social media buttons, upload logo. To learn more about the theme please see theme homepage.